A friend brought a bunch of (individual) chicken and leek pies for us to try from this new spot in Ocean Grove, and immediately handed me their postcard “because I know you…you’ll spread the word if you like it.” So here I am… The pie was delicious and I’m hoping to stop by the store this weekend and try the lamb curry, because you had me at lamb. The name of the place is a mishmash of the husband and wife’s last names. In my opinion, it’s a mouthful and doesn’t tell you anything about the business, but I hope for their sake it’s intriguing enough for people to check them out! Sounds fabulous. I’ve never been to that area of Jersey but it looks like it’s not that far from Jackson, where we do go to hit Six Flags now and again…maybe worth a detour! CRAP. So much for my proofreading skills! Thx for catching it. 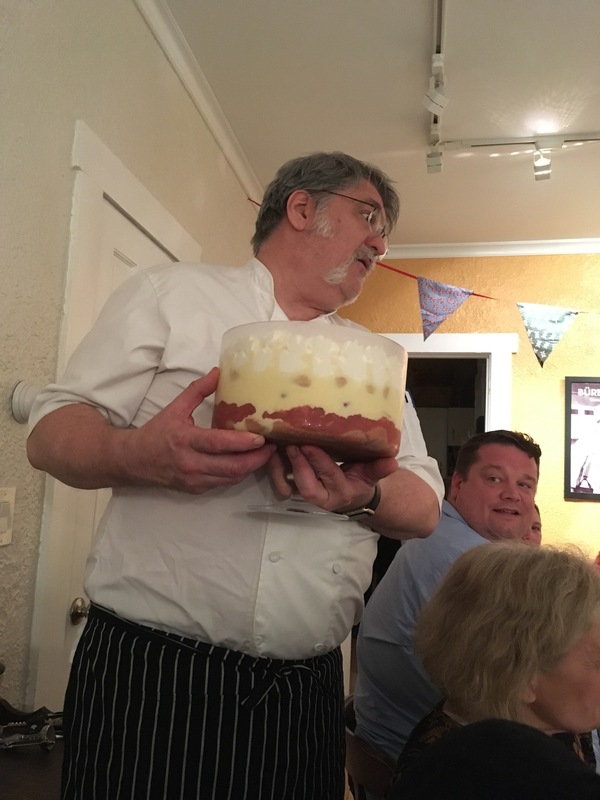 I grew up with Pete… he is an excellent chef. Used to own Terra in Maplewood some years ago. Can’t wait to try some of these . I lived in the UK for most of the 90s and miss a good meat pie! Bumping this up because I got the chance to eat there yesterday. The storefront was very inviting, and the case of pastries is absolutely drool-inducing. The menu is a bit intimidating in its scope because everything sounds amazing. Some interesting ones on offer were: chicken tikka masala (sold out already, unfortunately), Cubano, Reuben, and Jamaican beef patty (also sold out ). For lunch, I ordered a chicken and leek pie, and I agree with Curlz, it was delicious. I also purchased two pies (scotch egg and lamb curry) to take home and share with my husband; both were excellent. Their crust is phenomenal! I will definitely be going back so I can try more flavors and work my way through the menu, ha . So glad you agree! I’ve been staying out of OG but I’m looking forward to trying some other flavors in the off-season. I went today and got the gluten free fish and spinach pie topped with mashed potatoes. Excellent. Hey, burble me this riddler, what’s the difference between a pasty, an empanada, and a meat pie? 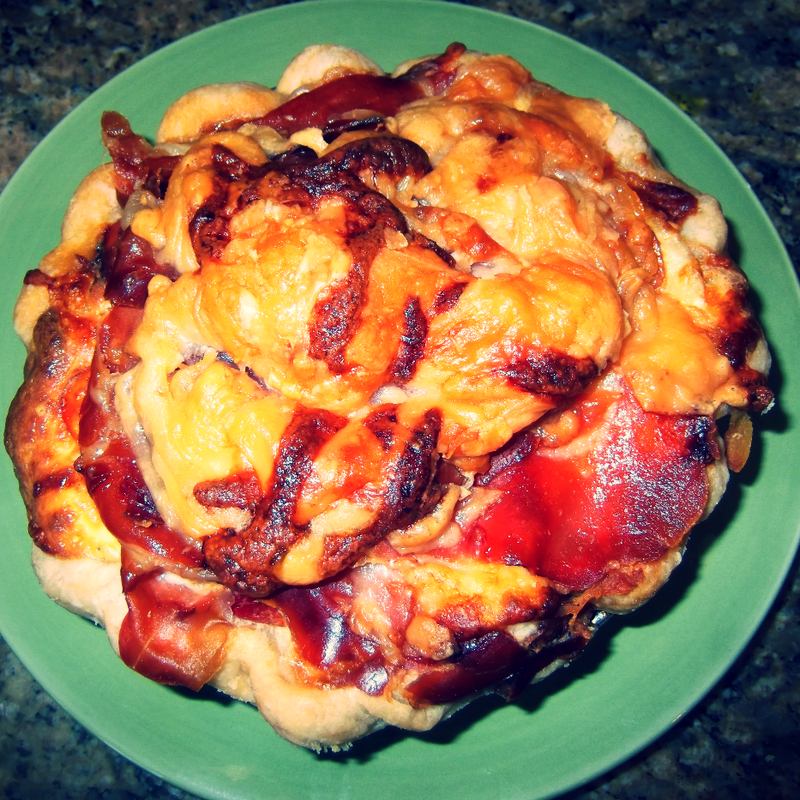 And where does a Stromboli fit in? Supposed to have meat pies, has anybody been? They have good sweet options as well. End of the run for blueberry (seasonal) and excellent cranberry bakewell tart. Pete had some chutneys and pickles out as well but didn’t get anything this time. Waiting for the Bacon Tapenade to become available. 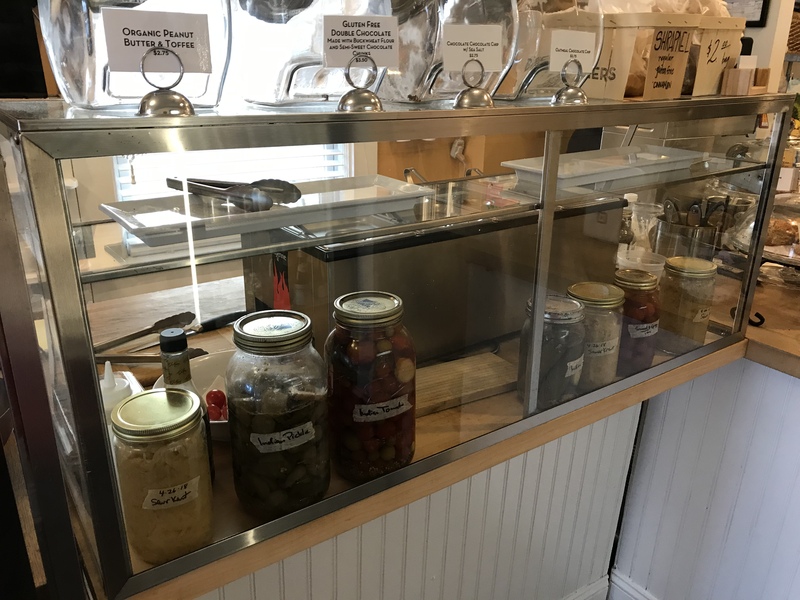 So far have only done takeout but Pete tells me there will be expanded dinner options coming for the winter so will probably hit that up once its back to locals only in my area. Sometimes I jump on the bandwagon early, sometimes I’m a little late to the full party. 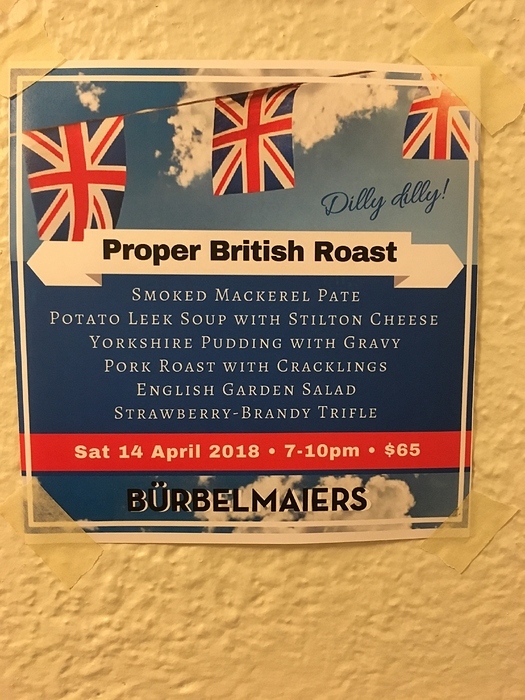 Unfortunately for me (although fortunately for my waistline), I only just learned that Burbelmaiers has been hosting pop-up dinners for a max of 18 people during the off-season. Last night I was lucky enough to attend their Proper British Roast, which was so damn delicious I can’t wait to have my leftovers for lunch today! We started with a smoked Mackerel pate with wonderful granary toast, a sweet/spicy gooseberry chutney, and Malt-vinegar pickled pearl onions. Everything except the bread was made in-house, and a fantastic start to our meal. Next up was my favorite of the night…a potato-leek AND STILTON soup. Had I not been out in public, I would have licked the bowl. This was a rich and delicious treat right to the bottom of the bowl (please don’t tell my nutritionist). 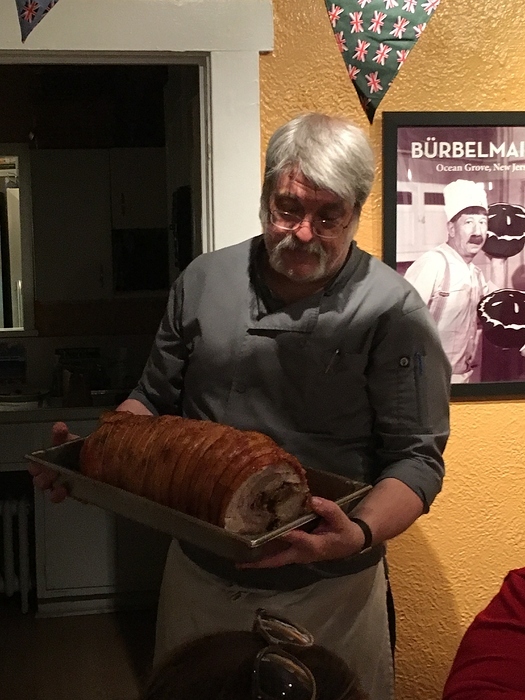 Chef Pete came out to show us the full cracklin’ pork roast, and a few of us immediately said “OOOH…British porchetta!” And indeed, that’s exactly what it was. It was served with a scoop of mashed parsnips, roasted potatoes, and a Yorkshire pudding. This is where I admit that I had NO idea that Yorkshire pudding has nothing to do with pudding. At first I thought it was a popover, but then I saw that it had a no top, but rather, a concave space that was filled with gravy. Thanks to having just eaten the entire bowl of soup, I was already feeling full, so I had about a third of it and will enjoy it again for lunch today. 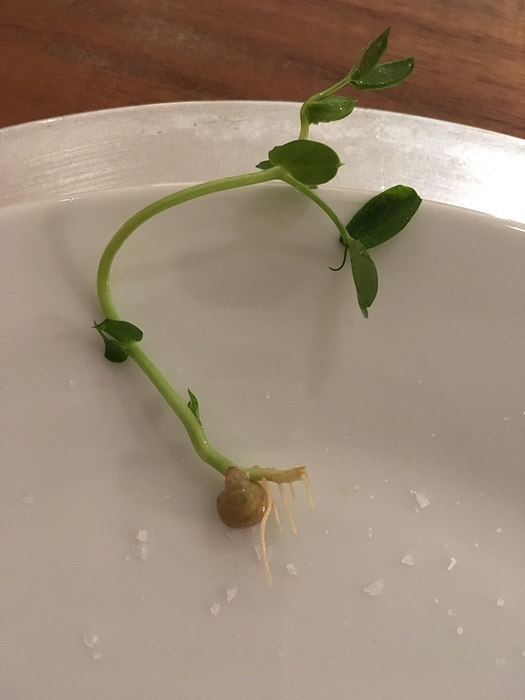 The salad course was exactly what we needed at that point; baby watercress with fresh pea shoots (see pic below for a pea AND shoot–I won the centerpiece!) and a lemon-shallot vinaigrette. Light and refreshing. Then came dessert…a proper British Trifle. Custard, ladyfingers, port, sherry, and a stuuuunning RHUBARB filling. That’s all I have to say about that. 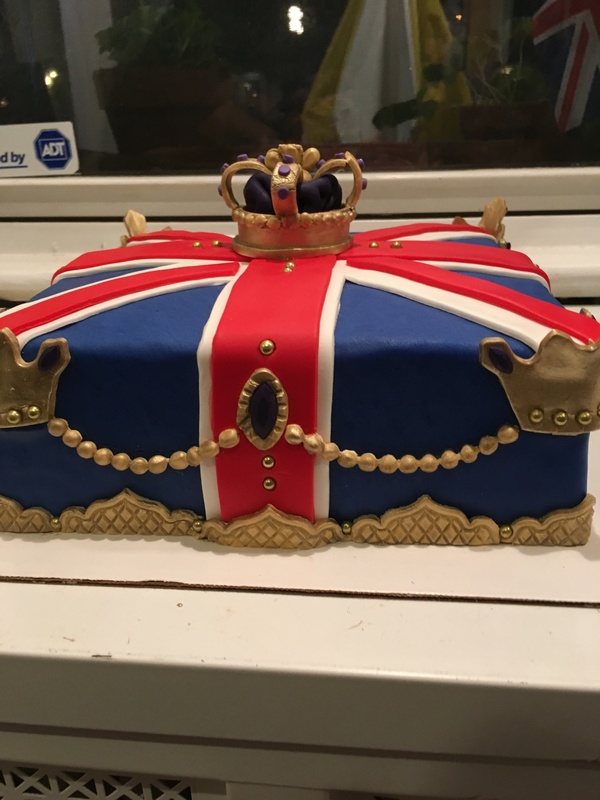 THEN we had cake. It was the chef’s birthday and one of the attendees is a good friend who makes amazing cakes (see below). 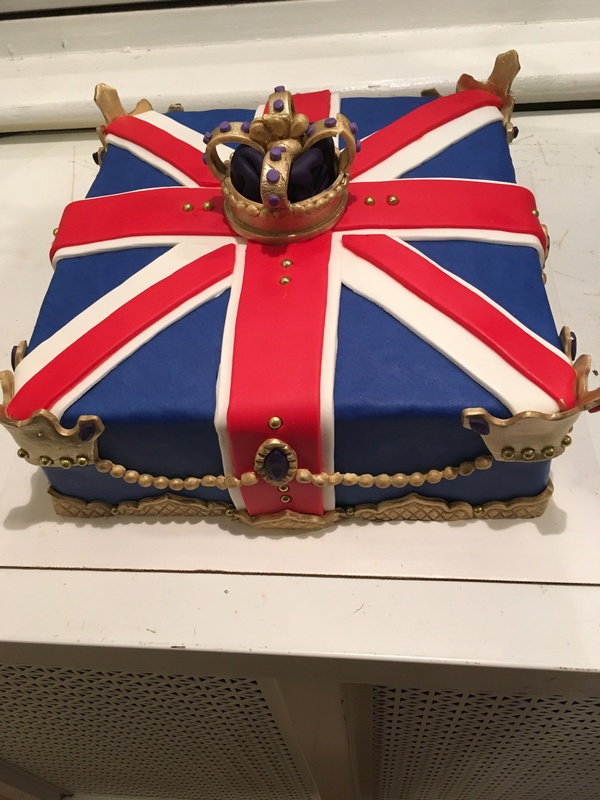 He does this as a “hobby.” We were lucky enough to see pictures of some other creations of his–full 3D piano cakes, a log cabin, and more. Insane talent. The true bonus in addition to the food was a lovely group of (mostly) strangers who sat at a communal table and truly connected over the experience. 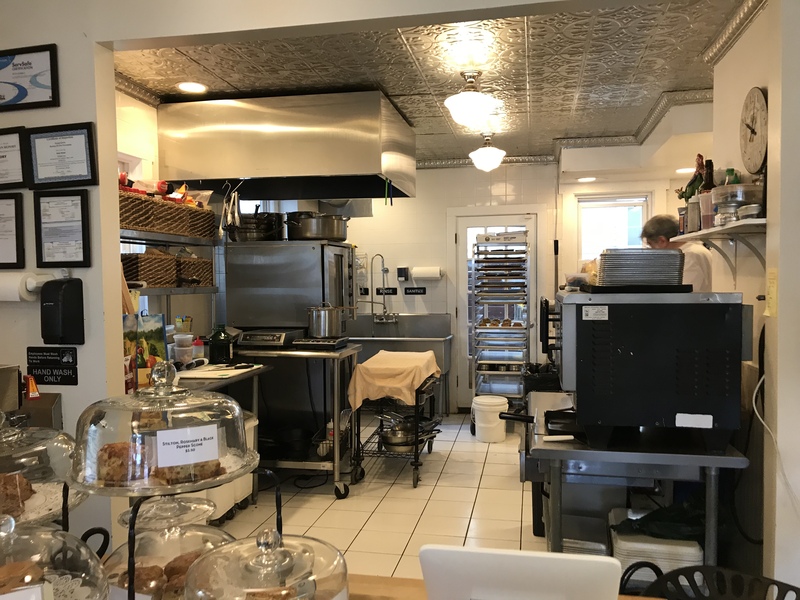 I chatted with Pete after the dinner and told him about our HOdowns and how I think this space would be perfect for us–but that will have to wait until the fall/winter, as it’s all he can do to keep the pie cases full for the spring/summer. Bottom line: the chef has serious chops, and he and his wife Courtney were wonderful hosts. Their staff was attentive and professional (something I don’t see a lot of at the shore), and it was a wonderful evening. 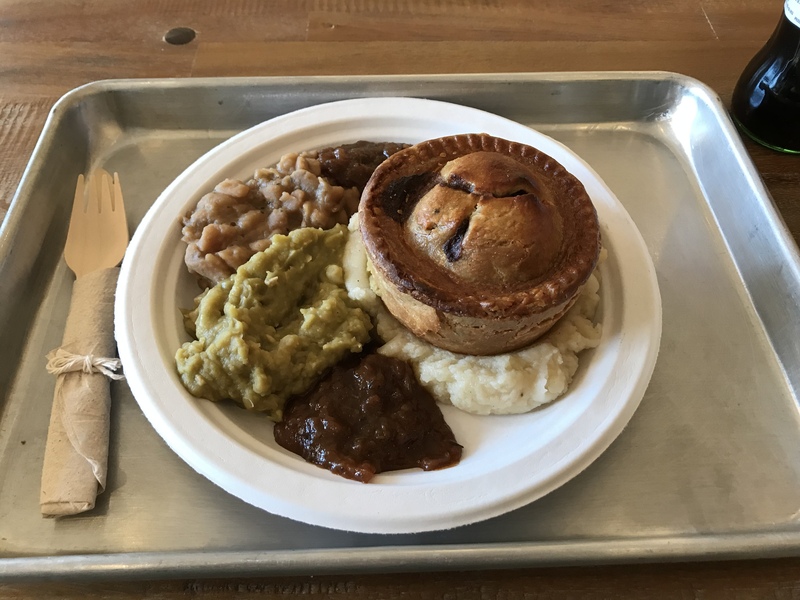 Up North we have a nice British pie store called the Pie Store, in Montclair, which makes sweet & savory pies. They also sell a lot of British products. Curlz, I am sure you are aware of it, from your days living up North. 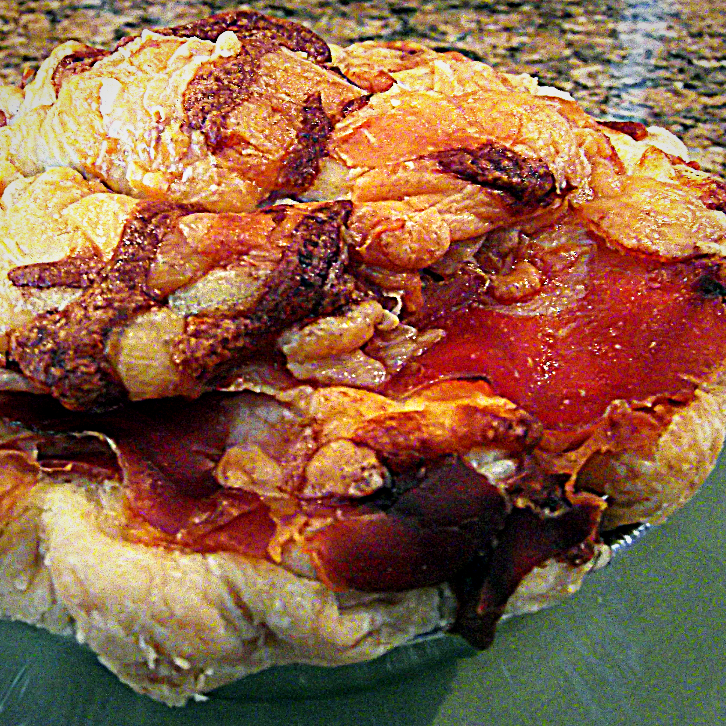 They make an amazing traditional Easter pie during Easter, that contains layers of Genoa salami, pepperoni, capicola, Virginia ham, imported prosciutto, with ricotta, provolone, and parmigiano Reggiano. 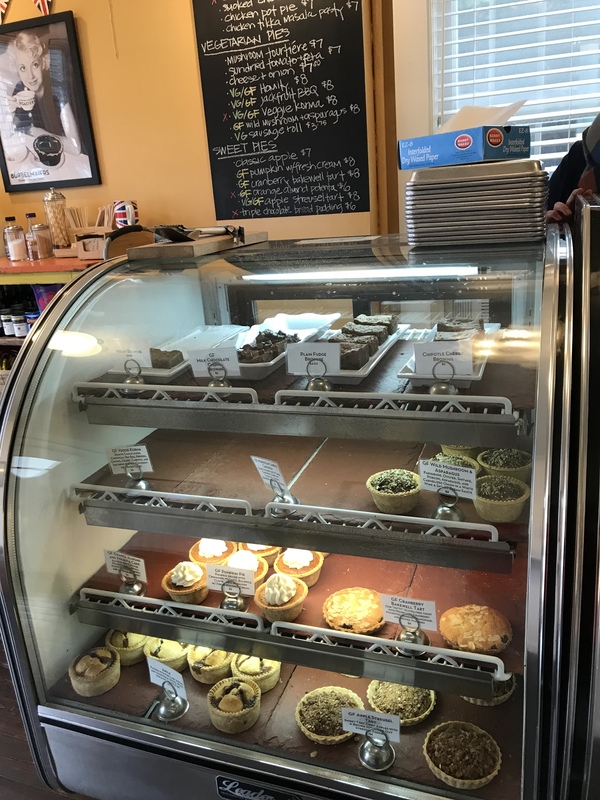 Funny, when I went on the Burbelmaiers site this morning, I saw that they had made pizza rustica pies for Easter – very similar! And yes, I do know the Pye Store in Montclair… good stuff! 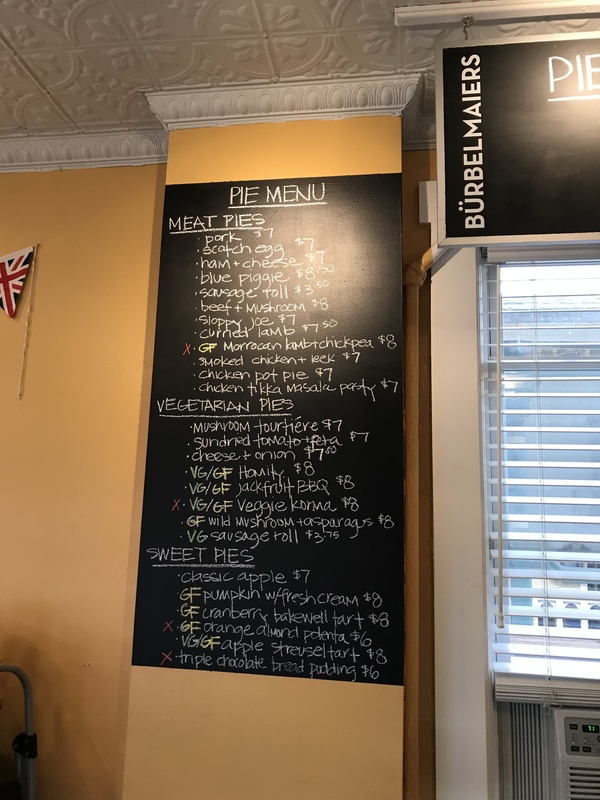 I went today and had a great pie, the short rib and mushroom pie. I had the full money, which included mashed potatoes, mushy peas and butter beans. The mashed potatoes were really the star side dish, with the peas a close second. They are going to have a dinner on April 13th. It will be a Persian themed dinner. They will be sending an email out sometime this weekend. They can only accommodate 18 people. It will be a BYOB. Is anyone interested in a HO down? 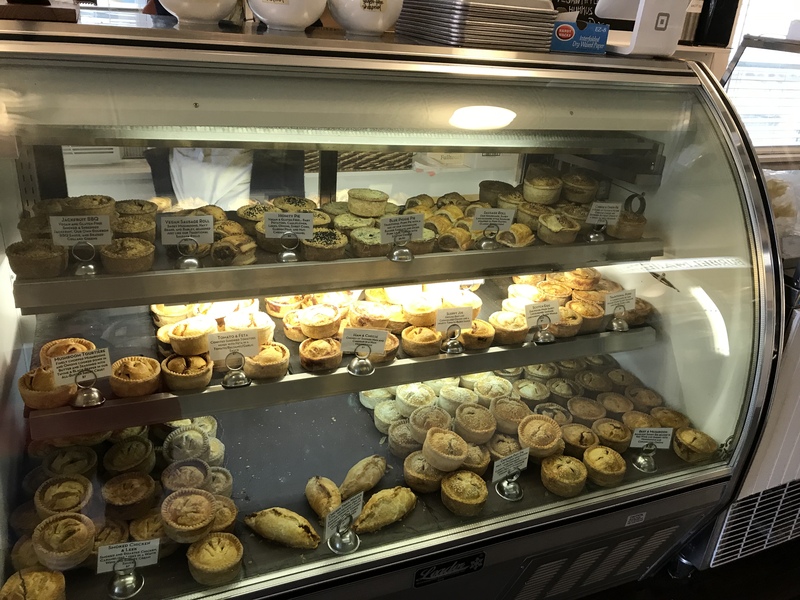 I did get a few pies to take home and try later! Including a couple of sweet pies. Courtney labeled them so I’ll knock what I’m eating.